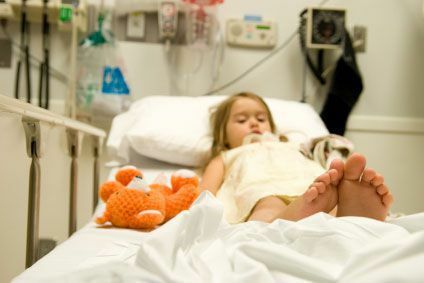 Here are some common birth injuries (injuries to the baby that occur at or around the time of birth) that can be caused by medical malpractice and can have serious, life long effects on the child's health, ability to learn and grow, and mobility. Brachial Plexus- the damaging of a bundle of nerves which originate from the upper spine and go through the neck and shoulder, arm and hand. Perinatal Asphyxia- a condition where the baby does not receive enough oxygen. If the baby is not delivered, perinatal asphyxia can be fatal or cause severe damage to the brain and other organs. Spinal Cord Injuries- the most severe of birth injuries can be due to traumatic nerve/cord damage, meningeal tear or the use of forceps. This can cause paralysis and neurological problems. Cerebral Palsy- this usually describes a lack of movement or control because of damage to the brain. Cerebral palsy is static (meaniing it doesn't get worse or better). Characteristics of cerebral palsy include; muscle spasms, weak muscles, and lack of development with motor skills. Many birth injuries can be prevented and are caused by medical malpractice by doctors, hospital staff and system errors within the hospital. And the injuries can be devastating and permanent to a child. So if your child has suffered from a birth injury in the D.C. area, at a hospital in D.C. or Maryland, or isn't hitting their developmental milestones it is important for you to get all of the information on what can be done to hold the hospital accountable, to obtain resources your child will need in the future, and to prevent this from happening to another child. If that sounds like you, please contact us. The sooner you seek counsel, the sooner an investigation can start and you can get the answers and help your child needs. And don't forget to get your copy of Picking Up The Pieces After Medical Malpractice: A Parent's Guide and our other resources that can help your child and your family.